Summer Concert Tickets Now On Sale! There is evidence of a band in the Allbrook and Otterbourne area dating back to c. 1923 (possibly earlier). Formerly known as Hampshire Concert Brass and City of Winchester Brass, Otterbourne Brass was formed over thirty years ago by a gentleman by the name of John Knight. John was at the time the Musical Director of the Hampshire County Youth Bands and he was aware that many of his students were leaving the organisation without any where else to play in the local Winchester area. He therefore decided to set up what was then called Hampshire Concert Brass. The band was highly successful in its’ early days competing in regional and national competitions. Gradually as more and more members of the band came from other walks of life as well as the youth organisation it was decided in the late 1970s to change the name of the band to City of Winchester Brass. The band is now made up of players form all across the region stretching from Andover in the north to Southampton and Portsmouth on the coast and from Romsey in the west to Havant and Petersfield in the east of Hampshire. We include in our membership people from all walks of life such as teachers, professional musicians, company executives and many other different professions. The band works hard during the year as we are a completely self financing organisation and we have to earn any money that we would like to spend on music and other equipment for the band to use. We were very lucky a few years ago in securing a National Lottery Grant which enabled us to purchase the very best instruments and uniforms. In 2004 having been welcomed to village of Otterbourne just south of Winchester the band made the decision to change its’ name again to Otterbourne Brass. Otterbourne Brass provides music in the local area ranging from sell out concerts and Remembrance services to village activities. The band competes in the First Section locally in the Wessex area and nationally in the West of England region and are currently ranked 3rd in Hampshire. 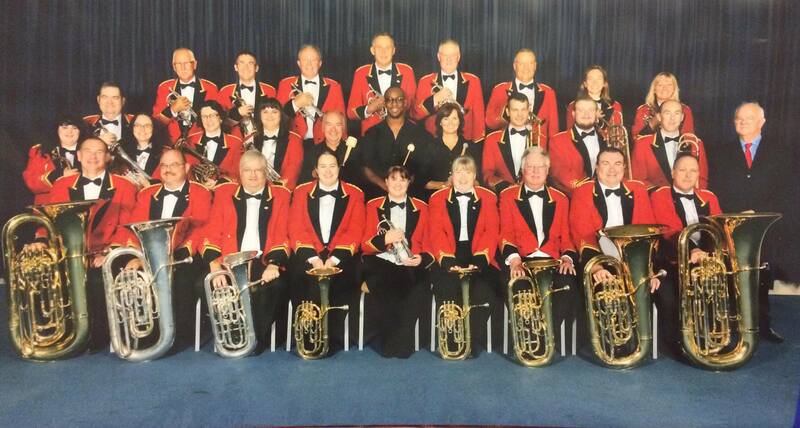 In 2008 Otterbourne Brass qualified for the National Brass Band Championships in Harrogate. In 2012 they qualified for the Nationals in Cheltenham, and once again more recently qualifying for Cheltenham in September 2017.